Answering services for any business! Answering is Our Business! Get Started Today! Calls will be answered by one of our live receptionists in your business name 24 hours a day, 7 days a week at our call center. All calls are recorded for quality. If you expect a higher call volume or are interested in our enhanced services, such as appointment or our order-taking services, please request a quote. Best price/value guarantee! The information in the following section will be used in setting up your account. Please respond carefully to ensure accuracy. Type of number you would like to forward your calls to? Your call plan comes with a FREE 814 forwarding number. This phone number is your personal direct dial number to have your calls answered seamlessly at our Pennsylvania call center. When you want our live receptionists to answer your calls, simply forward your office line(s) to this number. A toll free number or a specific area code can be assigned for an additional $15 per month. This is ideal if all calls are being answered by Live Answering Network and you wish to establish a local or national presence with a unique number. TOLL FREE $15/mo. SPECIFIC AREA CODE: $15/mo. Pre-Operator Announcement (Optional) $19/mo. This is an optional pre-recording that plays before your call is answered by a live receptionist. It is often used to play a professional business voiceover that may provide details on your business and/or may request that the caller have certain information available prior to their call being answered live. e.g. Thank you for calling [business name], this is [receptionist first name], how may I help you? Please enter what other information is needed from the caller. Please list the names of those whom we will be taking messages for, and the e-mail addresses to which messages should be delivered. This service is free. When to Email? * The frequency of e-mails is how often messages should be delivered to the e-mail address provided after a message is taken at the call center. The default setting is "Immediately". However, some users may want messages sent only at a specified time once or twice a day. For example, if you select "Once Daily," you will then be able to select a specified time for all the messages to be delivered that were taken the day before and leading up until that specified time. This can be adjusted easily by our support team if you opt to change in the future. Check here if messages should be automatically delivered to every person listed, or use the comments box to provide further instruction. By default, messages will only be e-mailed to the person they are intended for on the list. Please list the names of those whom we will be taking messages for, and the mobile numbers to which messages should be delivered. When to Text? * The frequency of e-mails is how often messages should be delivered to the e-mail address provided after a message is taken at the call center. The default setting is "Immediately". However, some users may want messages sent only at a specified time once or twice a day. For example, if you select "Once Daily," you will then be able to select a specified time for all the messages to be delivered that were taken the day before and leading up until that specified time. This can be adjusted easily by our support team if you opt to change in the future. Check here if messages should be automatically texted to every person listed, or use the comments box to provide further instruction. By default, messages will only be text messaged to the person they are intended for on the list. Please list the names of those who we will be taking messages for, and the telephone numbers to which our operators will need to dial. This is a premium service, which is .020 per minute once a call is transferred out to the contact. When to Call? * The frequency of e-mails is how often messages should be delivered to the e-mail address provided after a message is taken at the call center. The default setting is "Immediately". However, some users may want messages sent only at a specified time once or twice a day. For example, if you select "Once Daily," you will then be able to select a specified time for all the messages to be delivered that were taken the day before and leading up until that specified time. This can be adjusted easily by our support team if you opt to change in the future. Please Note: By default, we will only attempt to make contact with the person to which the call is specified. If needed, please use the comments box below to provide further instruction. Please list the names of those who we will be taking messages for, and the fax number to which messages should be delivered. This is a premium service, which is an additional $10/mo. When to Fax? * The frequency of how often messages should be delivered to the fax number provided after a message is taken at the call center. The default setting is "Immediately". However, some users may want messages sent only at a specified time once or twice a day. For example, if you select "Once Daily," you will then be able to select a specified time for all the messages to be delivered that were taken the day before and leading up until that specified time. This can be adjusted easily by our support team if you opt to change in the future. Please Note: By default, we will only attempt to fax the person to which the call is specified. Please list the names of those who we will be taking messages for, and the pager number to which messages should be delivered. When to Page? * The frequency of Paged is how often messages should be delivered to the e-mail address provided after a message is taken at the call center. The default setting is "Immediately". However, some users may want messages sent only at a specified time once or twice a day. For example, if you select "Once Daily," you will then be able to select a specified time for all the messages to be delivered that were taken the day before and leading up until that specified time. This can be adjusted easily by our support team if you opt to change in the future. Check here if every person listed should be paged, or use the comments box to provide further instruction. By default, pages will only be sent to the person they are intended for on the list. A billing method is required to activate your account. Please complete the following information. Account Activation * Accounts are usually activated same business day if order is placed before 1 p.m. EST or will be activated next day. 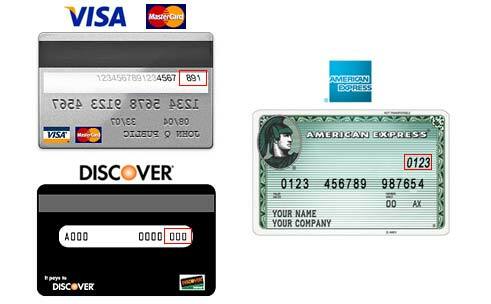 Please provide your billing information below as it appears on your credit card statement to ensure proper processing. Your order has not yet been submitted. Please carefully review your application below and click the “Submit” button at the bottom of this page once you have verified your information. Should you need to make a correction, you may go back by clicking on any of the tabs on the progress bar. messages will only be text messaged to the person they are intended for on the list. Name Title Phone Number 1 Phone Number 2 When to Call? By default, we will only attempt to make contact with the person to which the call is specified. By default, we will only attempt to fax the person to which the call is specified. Name Title Page Number When to Page? pages will only be sent to the person they are intended for on the list. YOUR ORDER HAS BEEN SUBMITTED! However, there is one more step needed to activate service. Please print this page using the printer-friendly option to the right, sign and fax back to (888)864-2362. 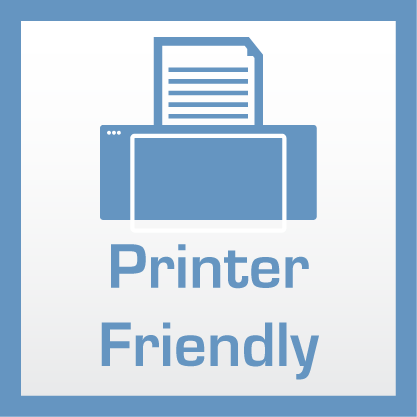 You will be receiving a .PDF via email that you may also print instead and fax in if you do not have a printer setup at this point. The undersigned declares that the above information is correct and complete and authorizes Live Answering Network (LAN) to charge all amounts owed by the company or undersigned to the above credit card or checking account. The undersigned further agrees to be responsible for a $5 late fee if 7 days past due, and $100 collections fee if after 30 days the account becomes uncollectable through provided payment method. The undersigned acknowledges that all sales are final and that cancellations must be done in writing 30 days prior to next billing cycle as per our Terms of Agreement. You will need to sign, and then fax or email back to us in order to activate service.